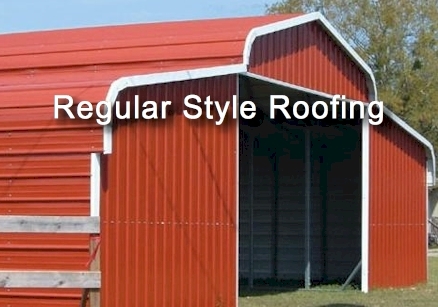 We have three different types of roofing available. 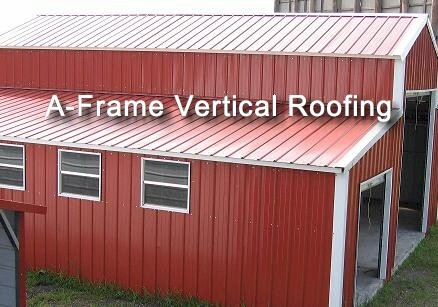 * All roofs are built on a 3:12 pitch. 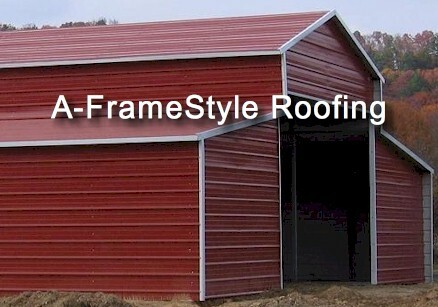 For TNT Brands Only: We offer a 4:12 pitch for no additional cost (must have A-Frame Vertical Roof option added). A 6:12 pitch roof (steeper slope) for $1,000 extra fee for materials and labor. 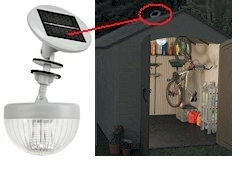 Drawings for 4:12/6:12 pitch are additional charge if needed. 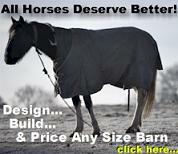 Got A Custom Project? We work with thousands of customers, each project is different. Leave it to our experts to assist you in finding what will fit your needs. 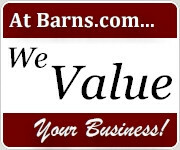 Call us, we specialize in custom built barns, horse barns, garages, metal barns, metal buildings and other custom built barn buildings.